How Can I Sound Like a Native Speaker? Here is one story about a teacher and how they had success teaching with EnglishCentral. 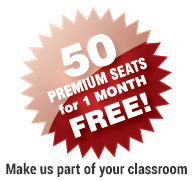 Sign up now – it’s free for teachers. Please share and let other teachers know how we are transforming English language teaching. Also see our Academic overview presentation highlighting our academic product.